Kopecky Family Band are not a family by blood, but by bond – through the palpable senses of community and care for one another that the members share forged by time and touring. 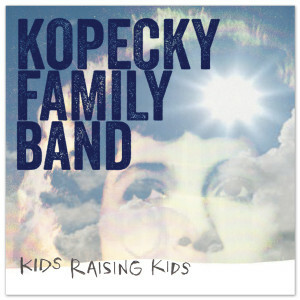 Kids Raising Kids is the sound of a band coming into its own and as a whole truly greater than the sum of its parts. It's an adventurous record, the unmistakably open sound varying from the playful sing-along pop of "Heartbeat" to the haunting heartbreak of ballad "Change;" from the classic swing verse and mountainous chorus of "My Way" to the brighty, breezy soar of "The Glow." The bright irrepressible songs on Kids Raising Kids deal with navigating the waters of change and facing challenges.